Caught this guy on camera..
Looks like a good pelt to me! 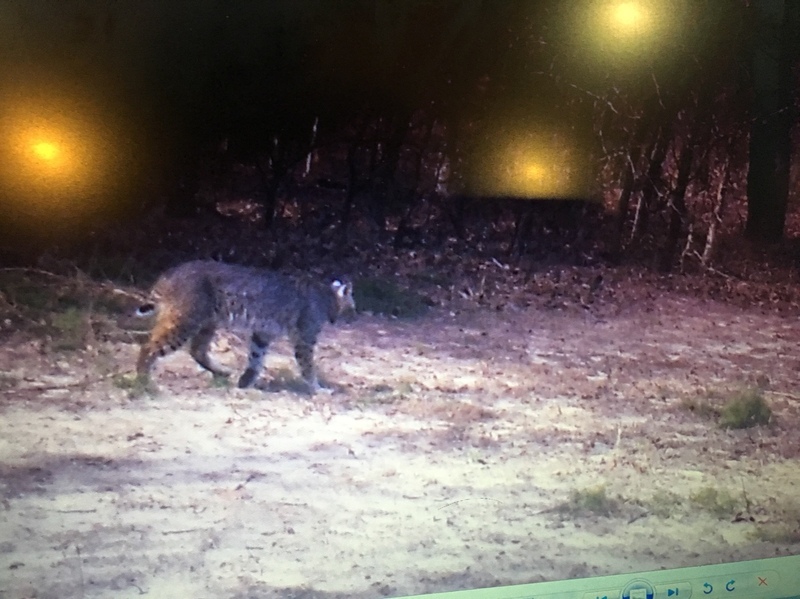 Hard to tell off of still photo, but one nice looking cat that needs a broad head in it! 24-26 lbs max. But that's still a big cat.. I will take the 26 to 29 range. I’ve shot one that was 29lbs and this one looks bigger from the picture I would guess over 30. Dude belongs on a mantle! Yeah, 40 is a stretch but it could go 30. Healthy cat right there! 40# is definitely stretching it. I would guess 27-30#. Big cat for sure....need to ground check the weight. Need to set a trap to catch that cat!